Knopf Books for Young Readers, 9781524701246, 304pp. 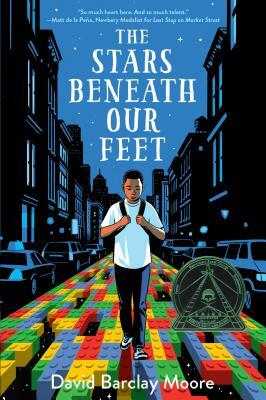 A boy tries to steer a safe path through the projects in Harlem in the wake of his brother’s death in this outstanding debut novel that celebrates community and creativity. MICHAEL B. JORDAN TO DIRECT MOVIE ADAPTATION! David Barclay Moore paints a powerful portrait of a boy teetering on the edge—of adolescence, of grief, of violence—and shows how Lolly’s inventive spirit helps him build a life with firm foundations and open doors. DAVID BARCLAY MOORE was born and raised in Missouri. After studying creative writing at Iowa State University, film at Howard University in Washington, D.C., and language studies at l’Université de Montpellier in France, David moved to New York City, where he has served as communications coordinator for Geoffrey Canada’s Harlem Children’s Zone and communications manager for Quality Services for the Autism Community. He has received grants from the Ford Foundation, the Jerome Foundation, Yaddo, and the Wellspring Foundation. He was also a semi-finalist for the Sundance Screenwriters Lab. David now lives, works, and explores in Brooklyn, N.Y. You can follow him online at DavidBarclayMoore.com, on Twitter at @dbarclaymoore, and on Instagram at dbarclaymoore.